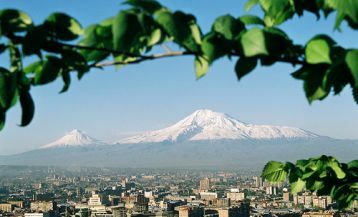 If you ask someone what he knows about Armenia, then it is most likely to hear the words “Ararat – cognac and mountains”. Also, the followings have great importance: Sevan Lake, Armenian Nuclear Power Plant, Lavash and duduk. Finally, we with these representations traveled to Yerevan for five days. Our trip started on the first week of November when it was still warm and sunny autumn in Yerevan. The weather was nice in the north: it was warm and dry. In the airport, the representative of the tour company “Arara Tour” met us and picked up to the hotel located in the center of the city. The location of the hotel was great and subsequently, we could appreciate it more than once. 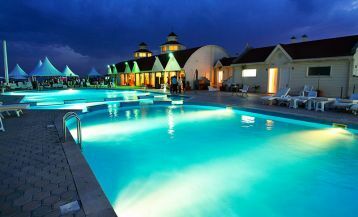 From the very first evening we were charmed with Yerevan and hospitable atmosphere, where we were in. During all our tour these feelings were only strengthened. Every morning we went out from the hotel to the new place and returned only in the evening. That is why to tell all about seen and heard in Armenia through the article is impossible. This material is a small diary about that where we had a chance to be. Discover Armenia started with the city tour around Yerevan. We were very lucky with the guide. The young lady Armine told us about her country, its history, people and traditions not only interesting and much information but also with the big love and pride for her nation. 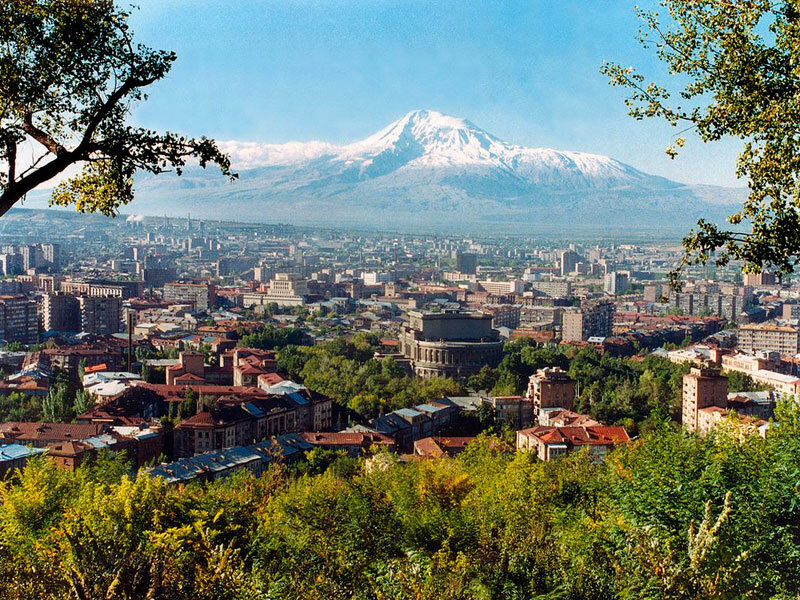 Yerevan was a very ancient city; its founding year was considered 782 BC. The ruins of Erebuni Fortress reminded about its age, where sometime Yerevan had started from. Warring empires battled for it and outlived hard times. For its current look, the capital of Armenia was acquired in soviet years owing to architect A. H. Tamanyan. The city looks differently: somewhere is like European, somewhere is like typical Soviet. It seemed us cozy and friendly. Only listed attractions (sightseeing) of Yerevan would take lots of space, and unfortunately, we couldn’t see and visit everything. Starting from Erebuni Citadel, our dive into the past continued in “Matenadaran”, which means “library” in Old Armenian. 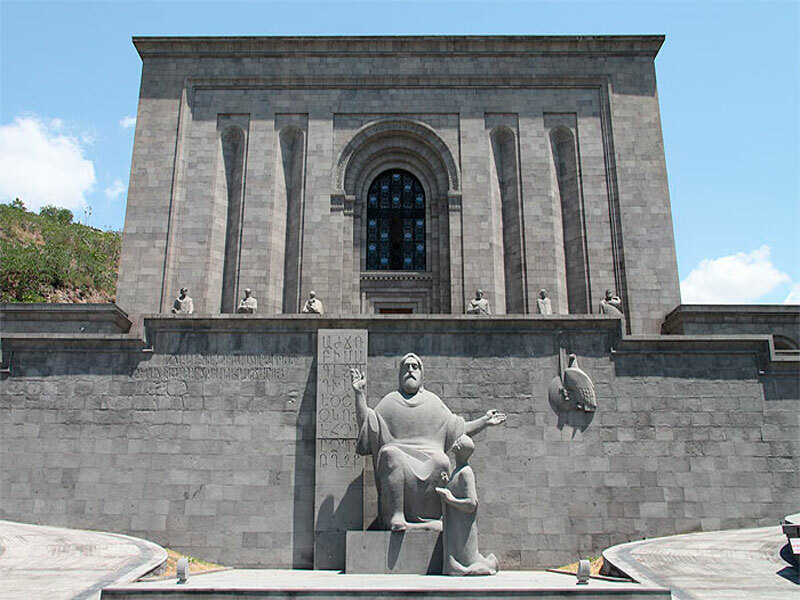 This is an institute of ancient manuscripts named Mesrop Mashtots, creator of Armenian Alphabet. Collections of the museum are unique: 17000 manuscripts in Armenian and foreign languages, where included fragments of parchments in V-VI centuries, manuscripts in IX-X centuries and petrified fragments of manuscripts founded in caves. 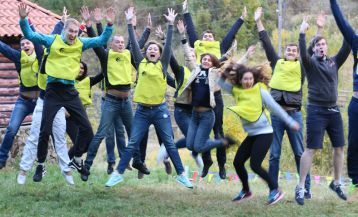 Every hour of being in Armenia we have known more about its history, which is inevitably associated with the history of Christianity because exactly in Great Armenia the first time Christianity was taken as the state religion in 301. 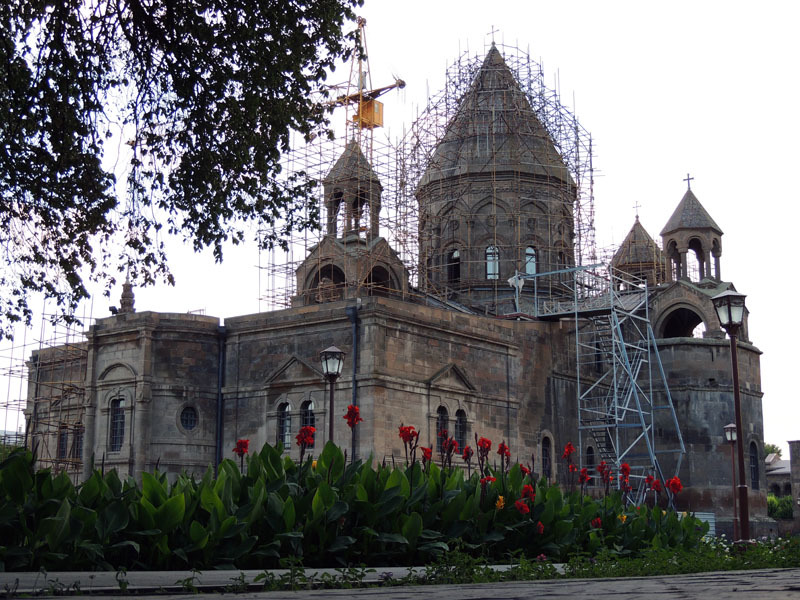 The residence of Catholicos of all Armenians and Mother See of Holy Ejmiatsin, the main church around Armenian Apostolic churches, are located in Ejmiatsin city (translated as “Descent of the only begotten”). According to the legend, Jesus Christ showed Saint Gregory the Illuminator the place for the erection of the church. The cathedral was built in the IV century and has been included in the list of UNESCO World Heritage Sites since 2000. In the museum at the cathedral are stored relics and shrines, among them, there are a piece of Noah's Ark and Geghard Lance (a lance piercing Christ). 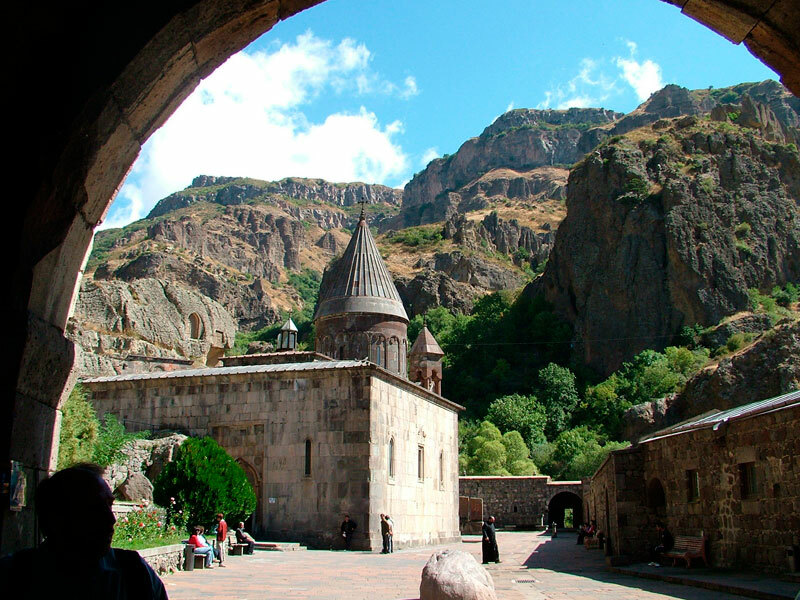 We moved from the capital and went to Geghardavank, translated as “Monastery of Lance”. In accordance with the legend, here stored the lance that Christ was pierced by when he crucified on the cross (it is now in Ejmiatsin). This is completely unusual and cave monastery, founded in the IV century, and also included in the list of UNESCO World Heritage Sites. Parts of the temple, cells of Geghard are fully curved inside the rocks, others are composed by enclosed walls of the building, rooms which are located deep are curved inside the cliff. Internal rocky spaces of the monastery are fascinating, as well as inhuman labor and power of spirit those who built these churches. Further, our trip continued to Garni village, where is located absolutely different pagan temple, which was built in Hellenistic style in the first century by the king Trdat I and is dedicated to the god of sun Mithra. Today, here it could be seen the ruins of the fortress and royal palace with Hellenistic mosaic, also bath of the III century. 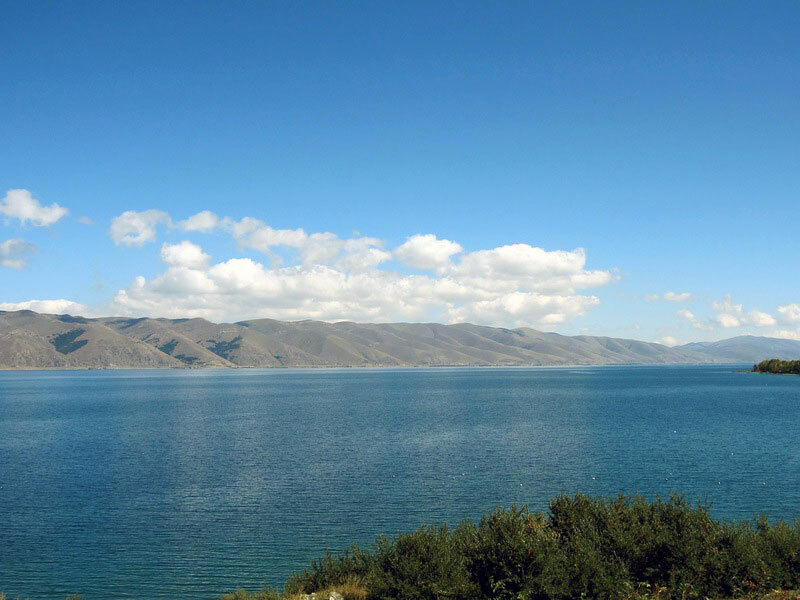 We went to Sevan Lake! 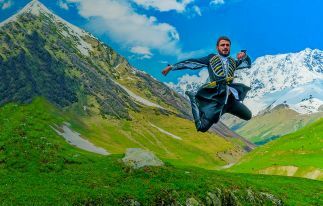 There are no words to transfer all emotions come from the amazing beauty of the view, which opens from the height of 2000 meters above sea level. On the coast of Sevan, there are located two monasteries, built in the VII century from black tuff stones, which is called Sevanavank. In the same day, we have a chance to walk around the historical center of Dilijan town, preserved the flavor of the 19th century, and admire the picturesque views on the way to Haghartsin Monastery. Our direction is to the south of Armenia. 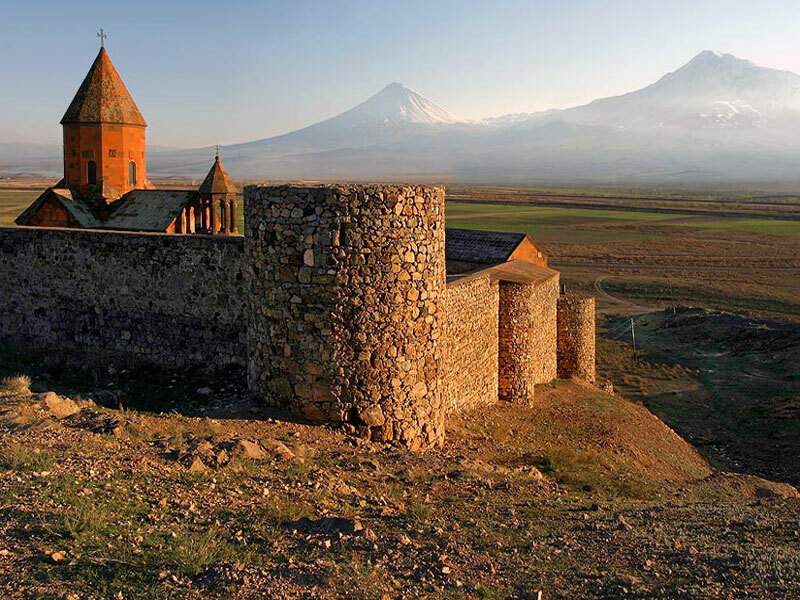 Monastery Khor Virap, located in Ararat Valley, is the historical place. Biblical Mount Ararat is very close to the monastery. There are actually two peaks and Armenians warmly call the great Ararat as Masis, and a small one - Sis. Ararat has been a symbol of Armenia for many years. That is why, in the twenties of the last century after the conclusion of the peaceful agreement the volcano has been taken in Turkey, which has become the real tragedy for Armenians. Emblem of Armenia is still decorated by Ararat, on the top located Biblical Noah’s Ark. Little bit history: The monastery of Khor Virap was state prison, where Saint Gregory was imprisoned in, professed Christianity and refused to refer to paganism by king’s order. Gregory spent about 15 years in a deep pit of Khor Virap, however, survived miraculously (the pit has access in these days). Gregory healed the ruling king Trdat, turning him into Christian. The king liberated Gregory, nicknamed him “Narek Illuminator” and made state advisor. After that, Armenia has become a Christian country. 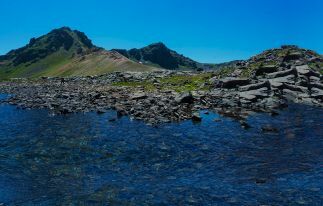 The final point of our trip is the way through the narrow canyon to the red rocky valley, where is standing Noravank Monastery Complex, founded in the XIII century. This is the pearl of Armenian religious architecture on the background of unearthly landscapes, sheered red rocks of the gorge of Arpa river. 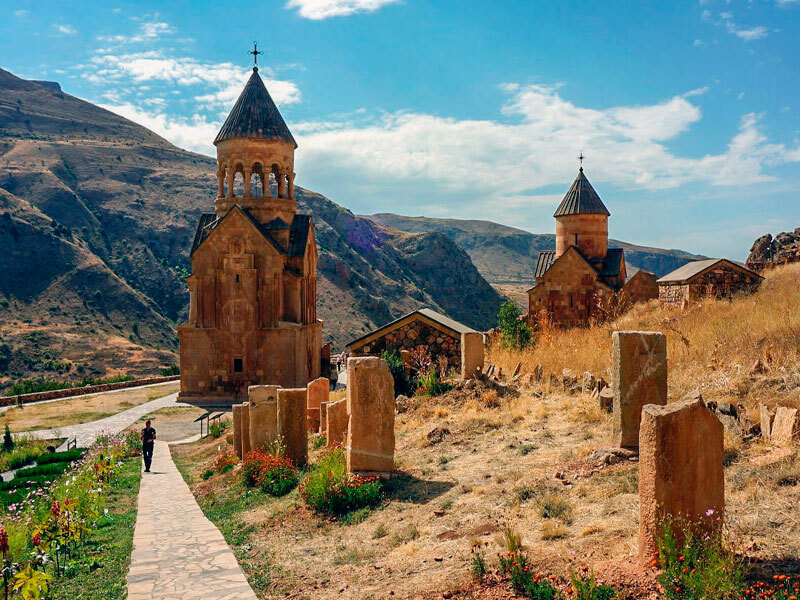 Two amazing churches and chapels, many stony khachkars with the picture of blooming Armenian cross, fascinating views to the picturesque area distinguish Noravank. This is that rare case when the author of the establishment is known, famous architect and sculptor Momik. All temples and monasteries, where we have been (excepted Ejmiatsin Cathedral), are located far from the cities, high in the mountains and merge with the nature becoming part of it. 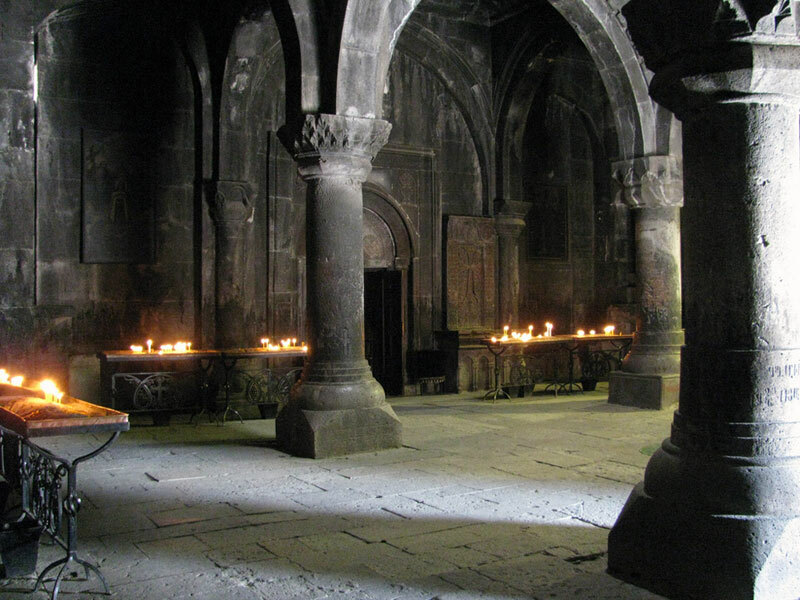 Monasteries look very ascetic, no jewelry and gilding, only stones, khachkars and deep faith. We cannot miss the bloody page of the history of Armenian nation - Armenian Genocide in 1915, in memory of which in Yerevan built Tsitsernakaberd Memorial Complex (“swallow fortress”). 44-meter high sherd symbolizes the will to revive Armenian people, eternal flame burns without letting to forget innocent victims. 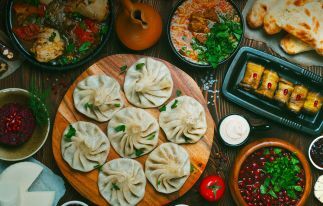 We want to mention also master classes of making dolma and gata (dessert), demonstration of baking traditional lavash in tonir, degustation in Ararat brandy factory and Areni wine factory, Vernissage in Yerevan. The impression of Armenian cuisine and Armenian hospitality are completely different and amazing. Hosts tried to feed us with tasty and satisfying foods, and our guide Armine every time told about national dishes that we were feasted. The tour was amazing, we want to return in Armenia because we didn’t see and explore lots in the small and proud country with doughty, hardworking and friendly people.